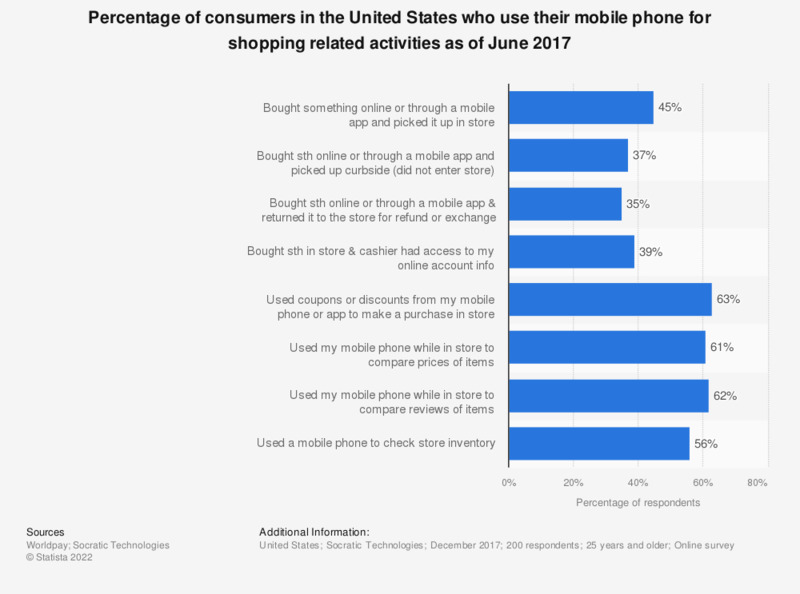 This statistic presents the mobile phone usage for shopping-related activities of consumers in the United States. During the December 2017 survey, it was found that 56 percent of respondents had used their phone to check store inventory. Original question: Within the past 3 months, have you…?